Marvel have released the first teaser trailer for the upcoming live action movie, Spider-Man: Far From Home, which will be swinging into cinemas on July 5th 2019. Peter Parker returns in “Spider-Man: Far From Home,” the next chapter of the “Spider-Man: Homecoming” series! Our friendly neighborhood Super Hero decides to join his best friends Ned, MJ, and the rest of the gang on a European vacation. However, Peter’s plan to leave super heroics behind for a few weeks are quickly scrapped when he begrudgingly agrees to help Nick Fury uncover the mystery of several elemental creature attacks, creating havoc across the continent! All new Marvel movies released from January 2019 will be heading to Disney+ after their initial theater run and home video release. So if Spider-Man: Far From Home follows a similar system that used by Netflix for the past few years, expect this movie to be on Disney+ in early 2020. But it could be earlier if Disney speed up the time between cinema release and streaming. 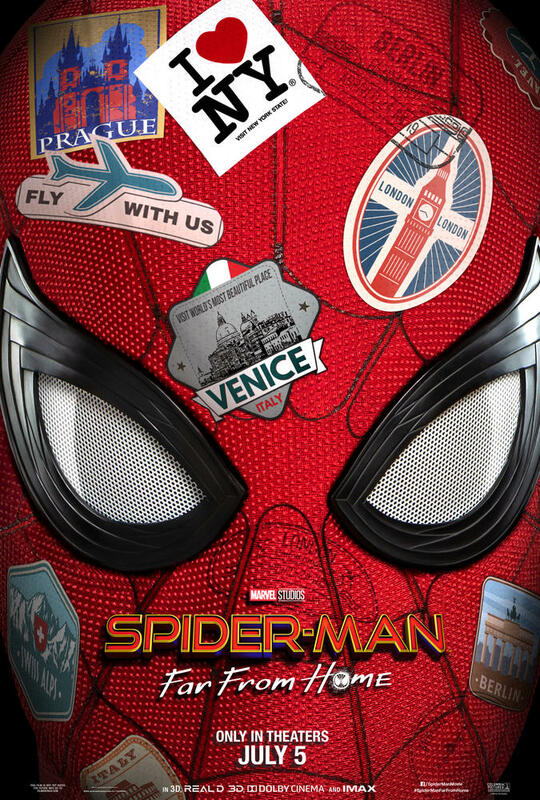 Are you excited for Spider-Man: Far From Home?